Beyond food security, Neighbour 2 Neighbour Centre knows that community gardens and food programming offer opportunities to learn the value of local food and build relationships between communities. 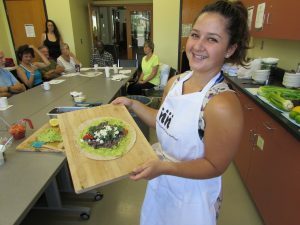 A grant from HCF is helping N2N to expand its programming to connect teens and seniors through food, creating an intergenerational food garden and cooking programming. 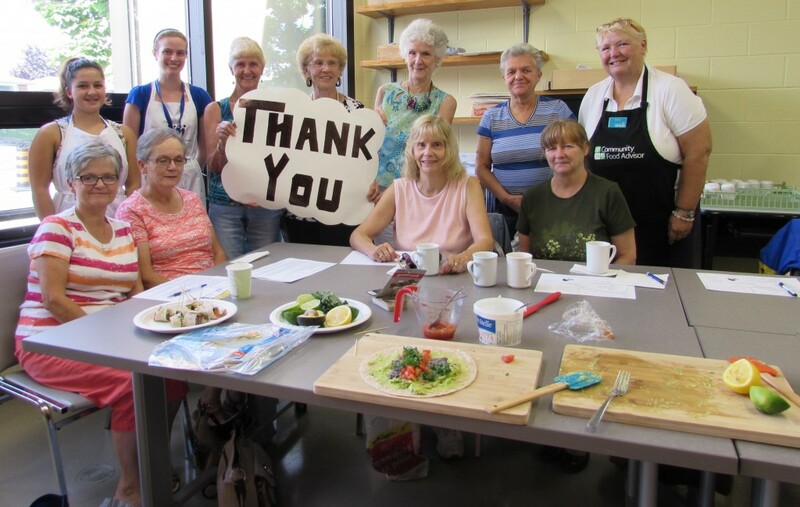 Working with Sackville Senior Recreation Centre to make use of its extensive green space and fully equipped commercial kitchen, N2N hosted garden skills and cooking sessions to enhance food growing and literacy skills. This 8-week program paired senior participants with youth to work together around food. It gives seniors new energy and youth mentorship – a win-win for both. The cooking and gardening presentations were run by university summer students. Vegetables, fresh from the N2N community gardens, were used as ingredients for delicious and healthy meal. One senior participant noted that the program offered opportunities to try new foods and to learn to live healthier. In addition to increasing knowledge of food and making healthier dietary substitution, the social aspect of the program was also valued by participants, who got to socialize with people in the community while gaining knowledge in food and gardening. Building on their ever expanding network of community gardens, this initiative has proven to be both educational and life-changing. Participants learn the importance of local food, build relationships, develop new skills and experience improved mental and physical health. In addition to continue growing its on-site community food programs, N2N plans to offer site-specialized mobile programming to reach new audiences and connect closer with people in the community.